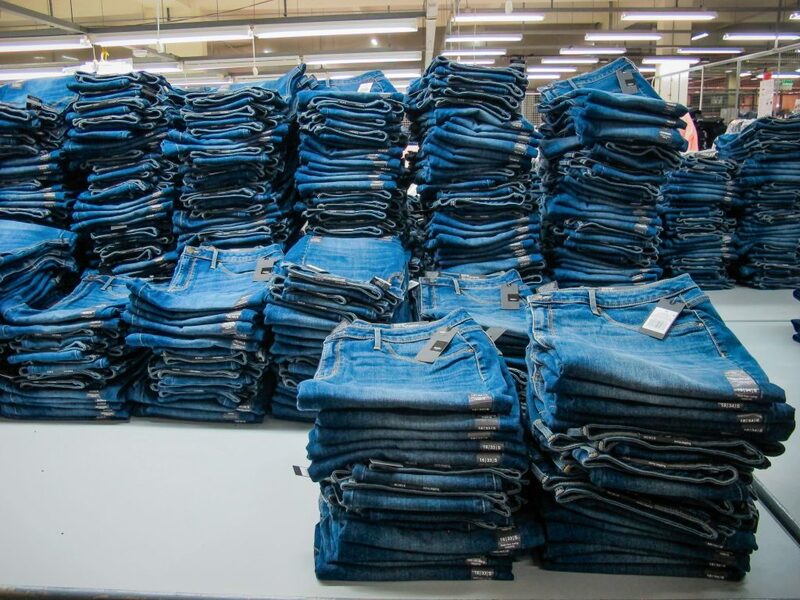 VIDEO: How Are Your Jeans Made? How Are Your Jeans Made? 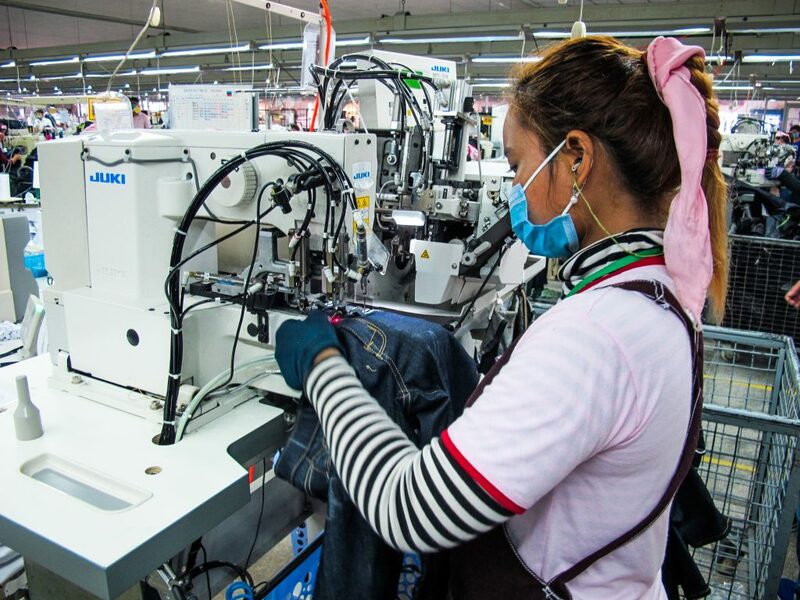 We drove down a winding and dusty road to a denim factory on the outskirts of Phnom Penh where jeans are made for every imaginable brand: from JCPenney and Kohl’s to Simply Vera by Vera Wang and Jennifer Lopez. It was surprising to see these labels next to one another, being produced in the same place, with the same makers. It made me think about how more expensive jeans does not always translate into makers making more money. I knew that a lot of people work on a single piece of clothing. 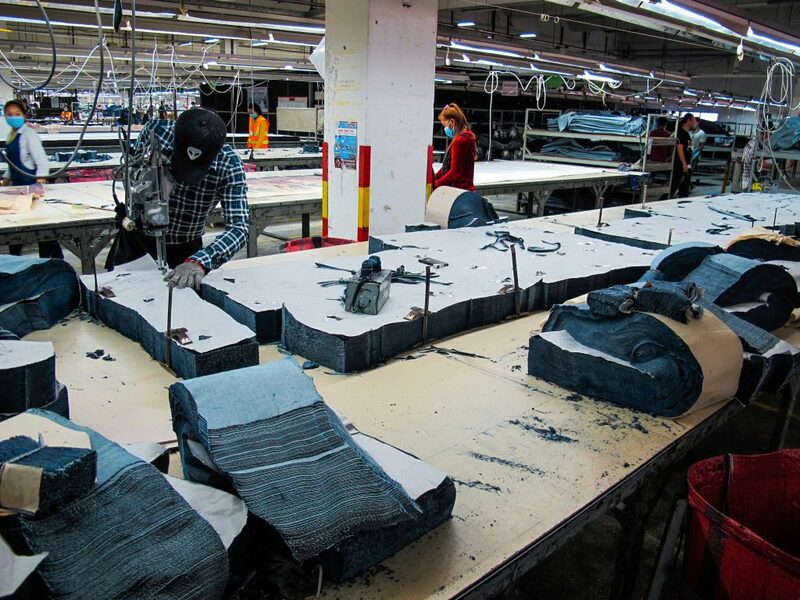 But walking into the denim factory, it was still amazing to see it first hand. There are about 2,000 workers at this factory, arranged into several assembly lines. I wondered, how could so much human effort produce jeans that cost just $29.99? Workers are paid by piece, therefore the more productive they are, they more they can earn. However, if they do not produce enough pieces, they are still paid minimum wage, which currently equals $140 a month and will be raised to $153 a month in 2017. I was happy to learn of this increase, but I know that this is still not up to standards of the living wage. Walking through the factory, we saw how denim fabric is first loosened, then hand-sheared to the appropriate dimensions. Each blade stroke cuts 140 sheets of denim. I was glad to see makers wearing a metal glove, having read about some losing fingers during this process. The fabric is then sewn and stamped together according to drafted patterns. The makers are positioned in an assembly line, where they sew a single seam before passing the piece down to the next person. Each assembly line had a board with production output goals. Red marks meant the line had not met their production output goals. I saw a lot of red marks and wondered if these goals were nearly impossible to reach because of the sheer volume of production. It made me wonder, is the fast fashion system stacked against them? Next is laundering and distressing, where the denim is treated to look worn out. The laundering facility was probably the worst because the building was very dark and very hot from the giant driers running all day and many chemicals are used there. The makers spraying jeans with chemicals to bleach the washes did have masks over their mouths, but no goggles to protect their eyes and no protective gear or gloves. The makers distressing the denim are often on their feet all day and it’s tiring physical labor. Once laundered, the makers who do the quality assurance have to be really patient. Each pair is inspected, loose threads are pulled out and finally the jeans are ironed, and packaged. I was amazed by the amount of quality control throughout the manufacturing process. There is a QC inspector at every step, as well as a room full of speciality machine parts that deliver exact seams. As soon as our tour ended my brain was overwhelmed with what I had just seen. 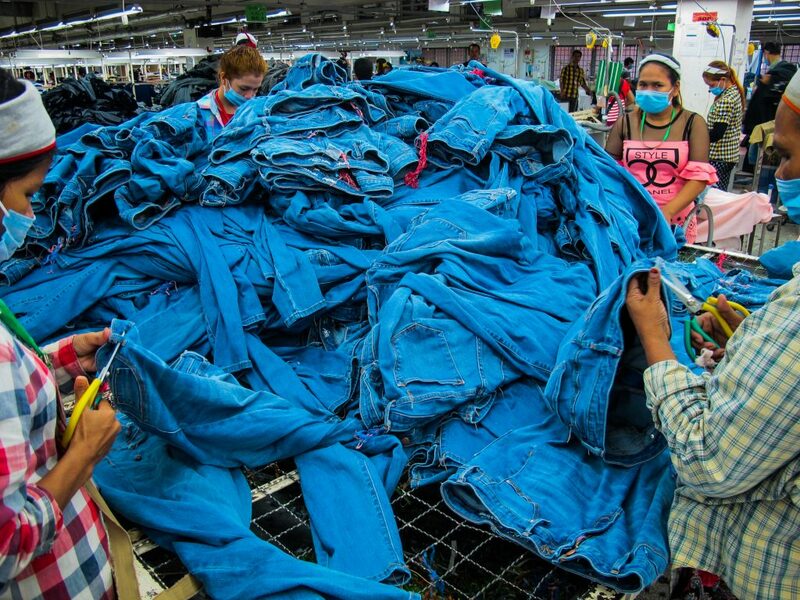 How could one pair of jeans sell for $29.99 and yet have had so many, 100 pairs of hands, work to produce them? The math behind where the money spreads along the entire supply chain did not scream fair at all. Fashion is the social justice issue of our time, and our dollars send market signals to brands. Join us and vote for brands that empower makers. How will you vote? Casey was one of our selected Parsons School of Design students who came on the Cambodia Journey, where we connected designers with makers to build a more human-centered fashion industry. She has been repeatedly nominated to design capsule, future-forward collections in collaboration with Parson’s brand partners including Tide and Intel. She is deeply interested in the manufacturing process and how she can create more sustainable textiles in union with factory systems.